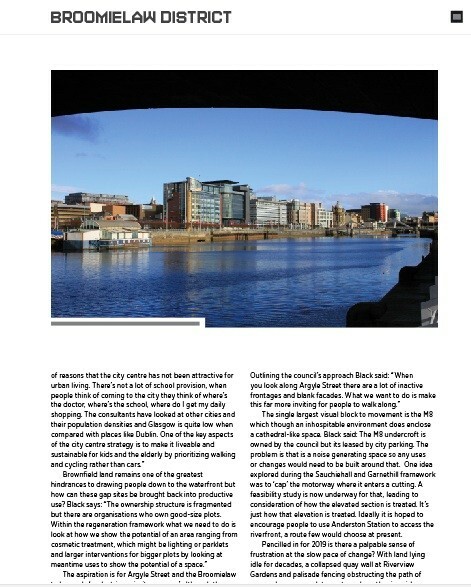 Glasgow has come a long way but is it in danger of losing its way? 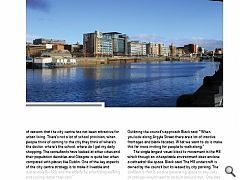 An embarrassing waterfront holds the city back but now a council run masterplanning exercise seeks to show that in credit crunch Britain future prosperity could flow from the banks of the Clyde. 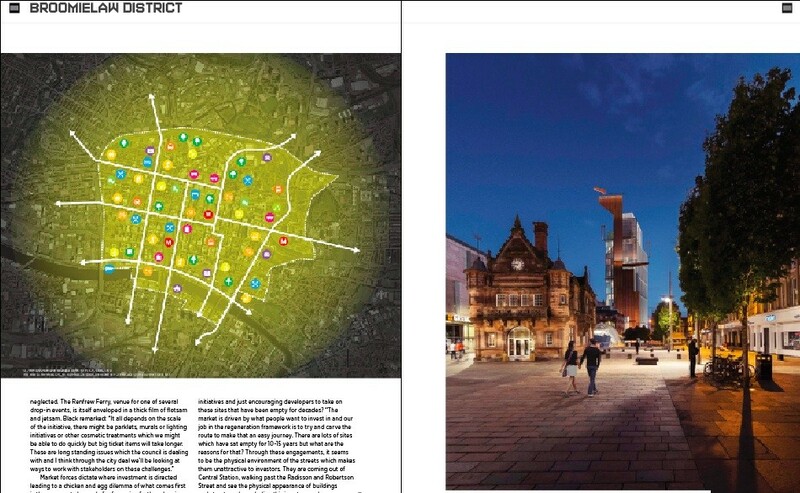 Glasgow City Council’s city centre strategy has identified nine ‘character’ zones which are to be the subject of a long-term regeneration strategy. Work to flesh out the second of these, Broomielaw, is currently in full swing and Urban Realm was in attendance to see how the area’s future is shaping up. 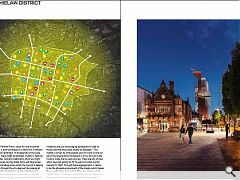 Following an earlier exercise in Sauchiehall and Garnethill Austin-Smith:Lord’s Glasgow team and Dutch architecture and urban design specialists MVRDV are again on board to give substance to ideas flowing from a series of workshops. The single largest visual block to movement is the M8 which though an inhospitable environment does enclose a cathedral-like space. 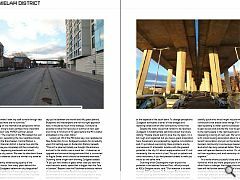 Black said: The M8 undercroft is owned by the council but its leased by city parking. The problem is that is a noise generating space so any uses or changes would need to be built around that. 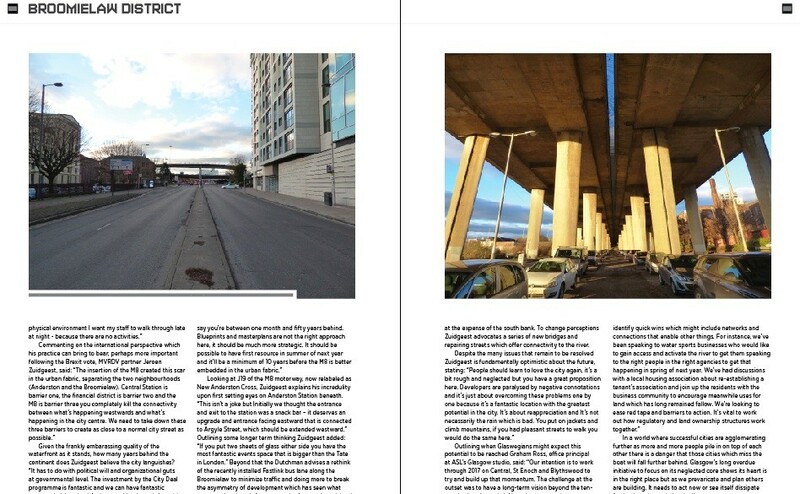 One idea explored during the Sauchiehall and Garnethill framework was to ‘cap’ the motorway where it enters a cutting. A feasibility study is now underway for that, leading to consideration of how the elevated section is treated. It’s just how that elevation is treated. Ideally it is hoped to encourage people to use Anderston Station to access the riverfront, a route few would choose at present. 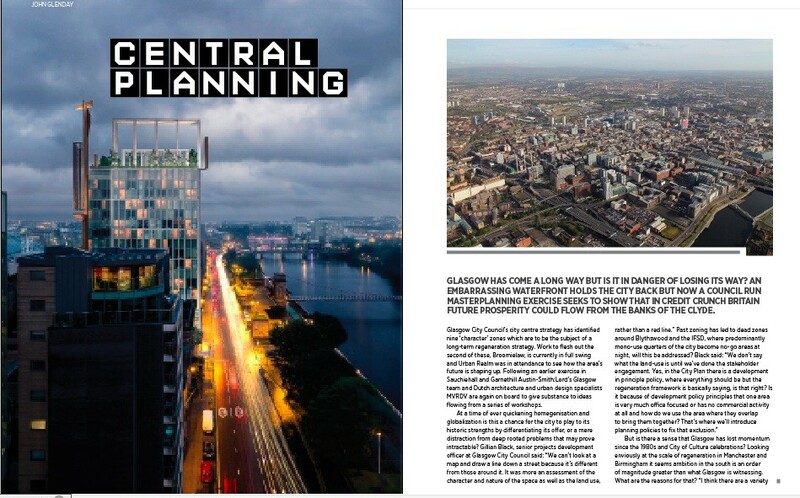 Looking at J19 of the M8 motorway, now relabeled as New Anderston Cross, Zuidgeest explains his incredulity upon first setting eyes on Anderston Station beneath. “This isn’t a joke but Initially we thought the entrance and exit to the station was a snack bar – it deserves an upgrade and entrance facing eastward that is connected to Argyle Street, which should be extended westward.” Outlining some longer term thinking Zuidgeest added: “If you put two sheets of glass either side you have the most fantastic events space that is bigger than the Tate in London.” Beyond that the Dutchman advises a rethink of the recently installed Fastlink bus lane along the Broomielaw to minimize traffic and doing more to break the asymmetry of development which has seen what regeneration there is focus upon the favoured north bank at the expense of the south bank. To change perceptions Zuidgeest advocates a series of new bridges and repairing streets which offer connectivity to the river. In a world where successful cities are agglomerating further as more and more people pile in on top of each other there is a danger that those cities which miss the boat will fall further behind. 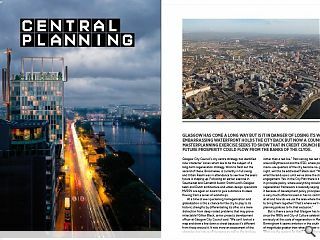 Glasgow’s long overdue initiative to focus on its neglected core shows its heart is in the right place but as we prevaricate and plan others are building. It needs to act now or see itself dissipate further in a slow, relative decline.